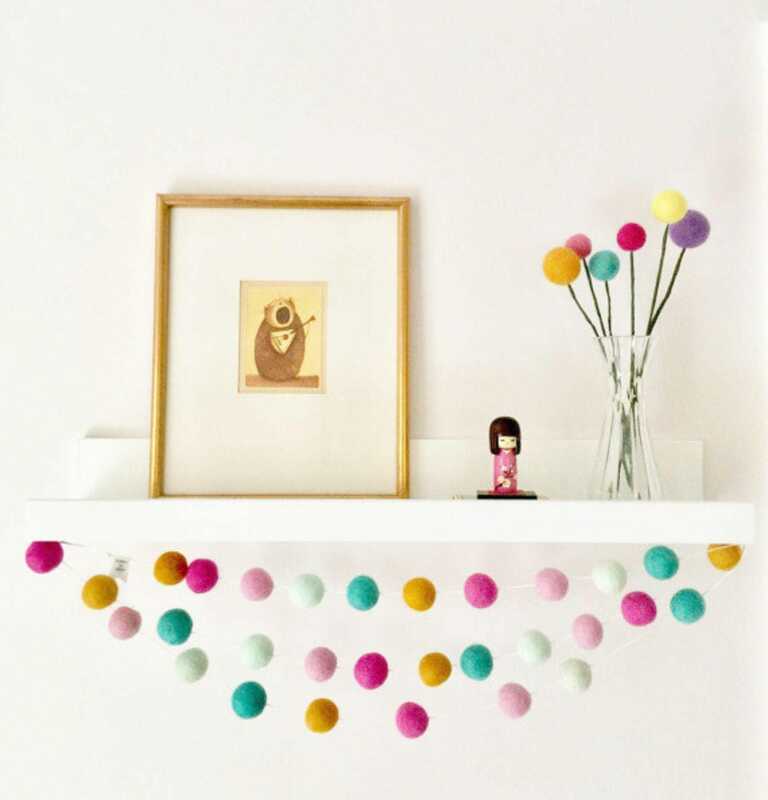 This pom pom garland colour combination is one of my favourites. 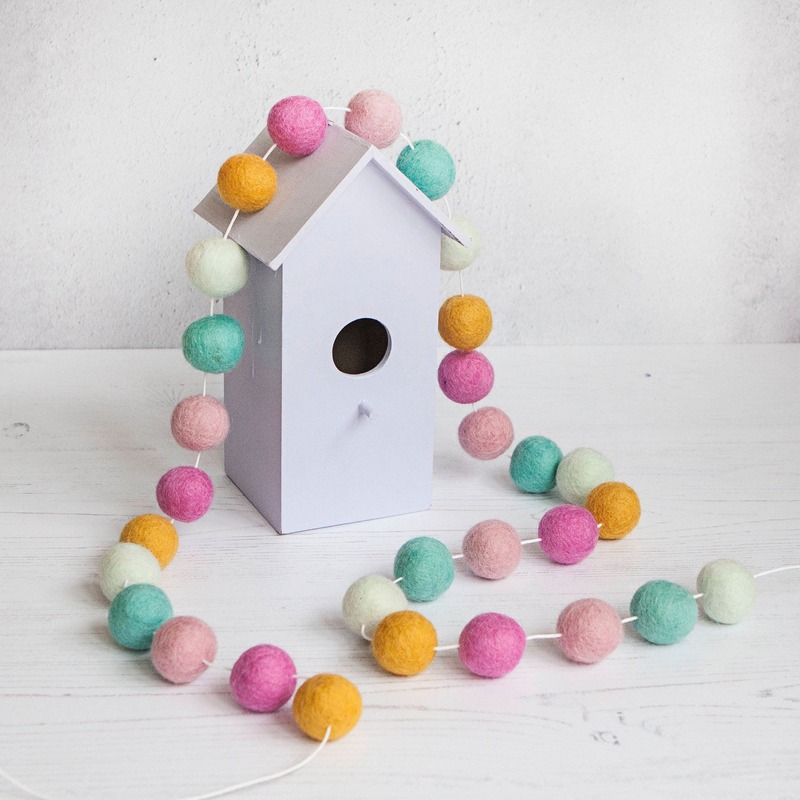 The felt ball garland comes in jewel like spring pastel colours (baby pink, peony pink, modern mustard, arctic aqua and turquoise) and imagine how gorgeous it would look in any little or (older!) girl's bedroom. 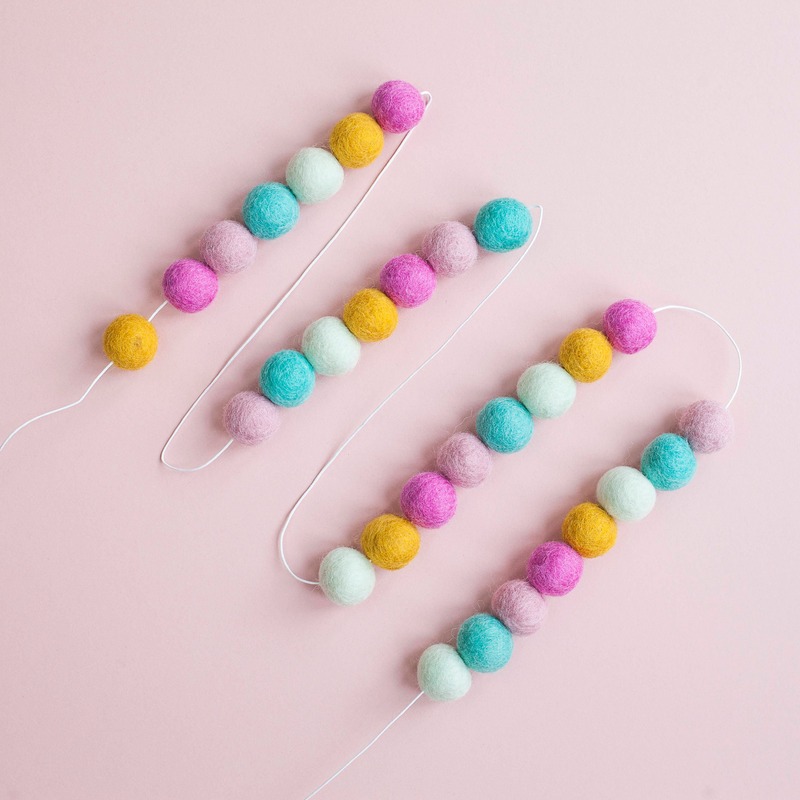 This felt ball garland also makes a great gift for someone lovely or use it as a party decoration that you can use party after party. 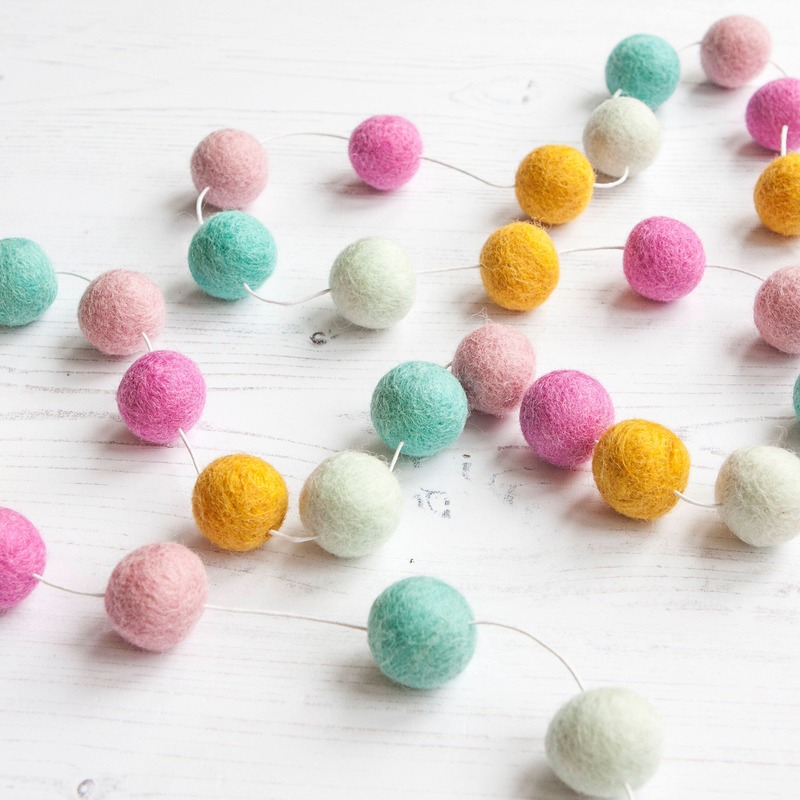 The wool felt balls are strung together with a strong white cord. Both ends have a secure loop for easy hanging. 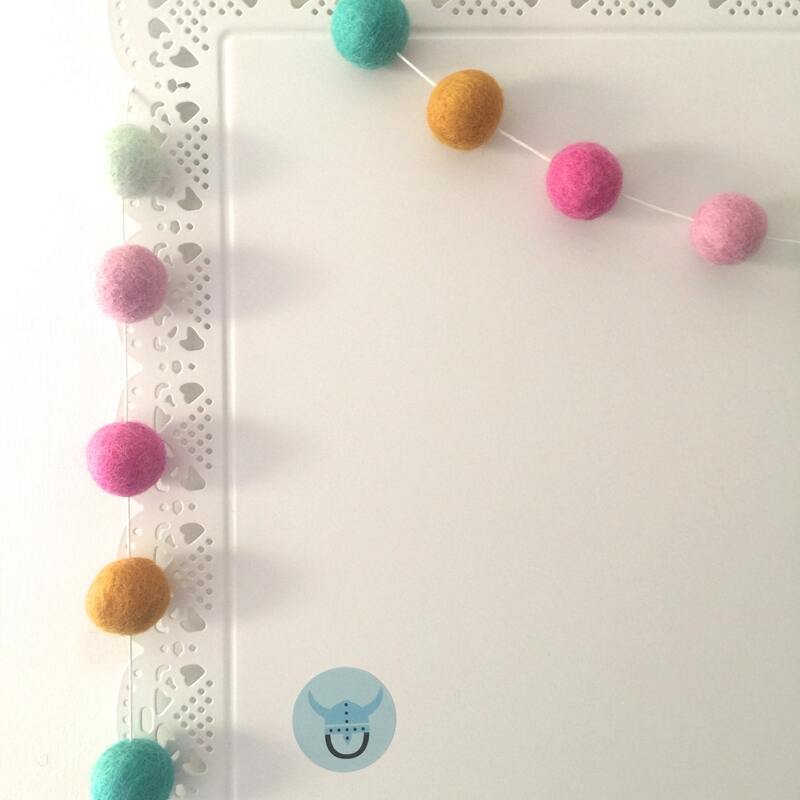 All the felt balls can be freely moved in to their desired position. 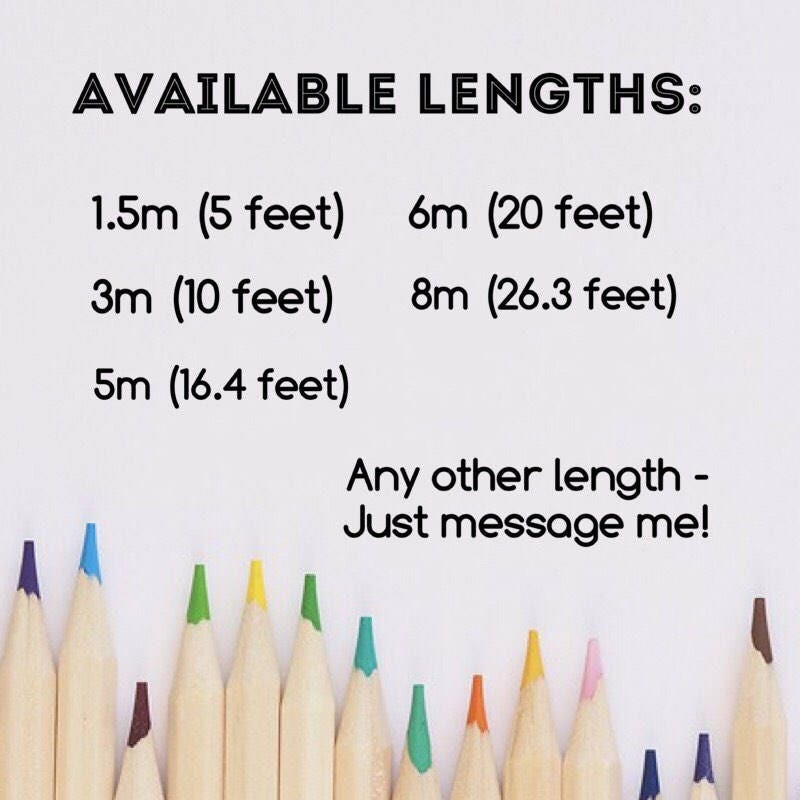 Just tug them gently to space them out. 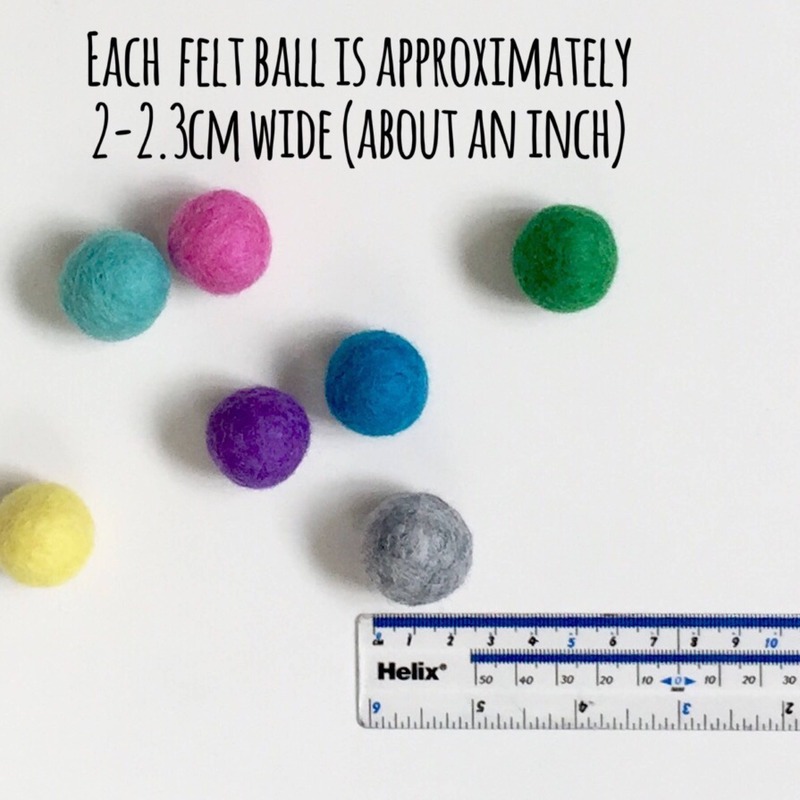 As all the felt balls are handmade in Nepal and are of the highest quality, please note some very small size and/or colour variation may occur. 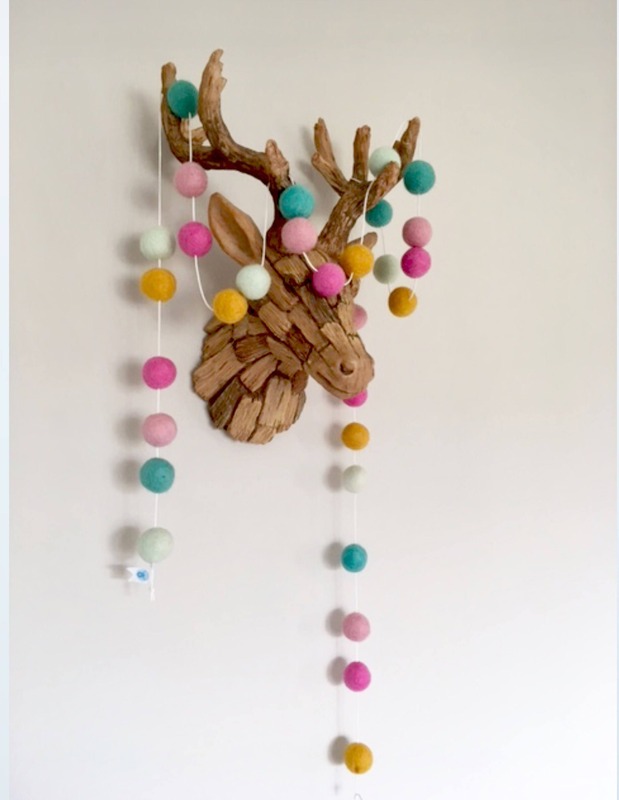 This listing is for one garland only, any props used in the pictures aren't included.